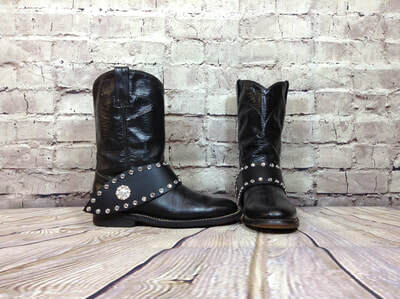 This handsome pair of boot bling are handmade in the U.S.A. 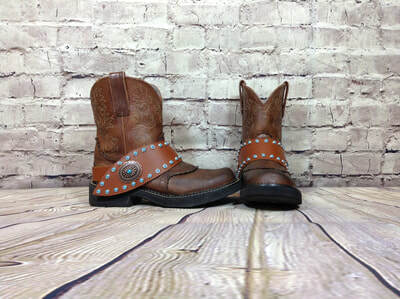 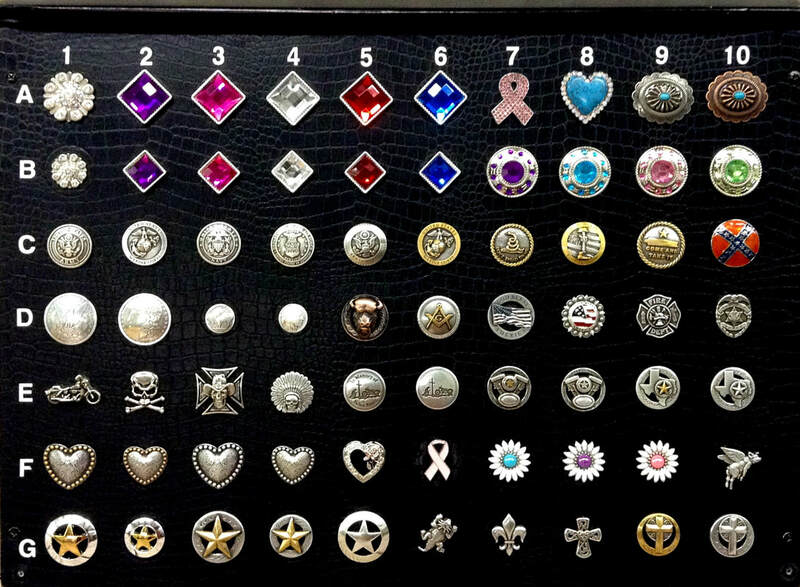 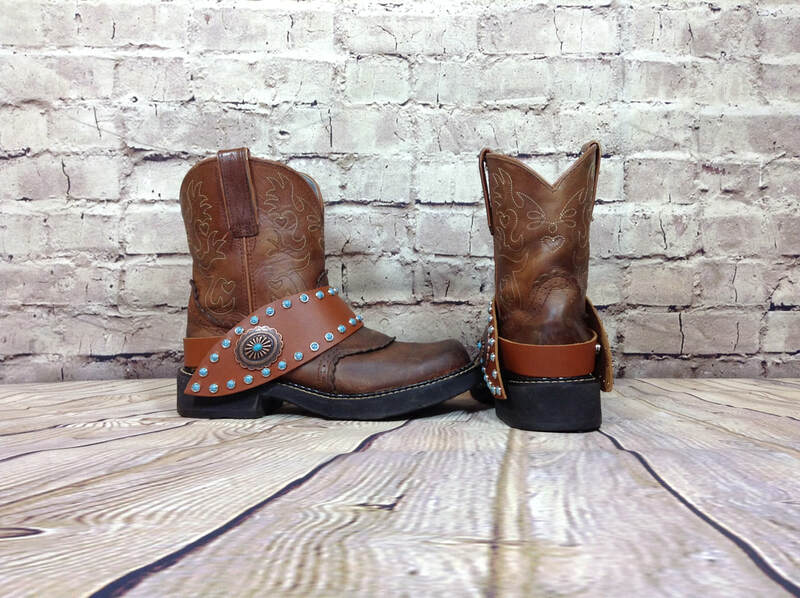 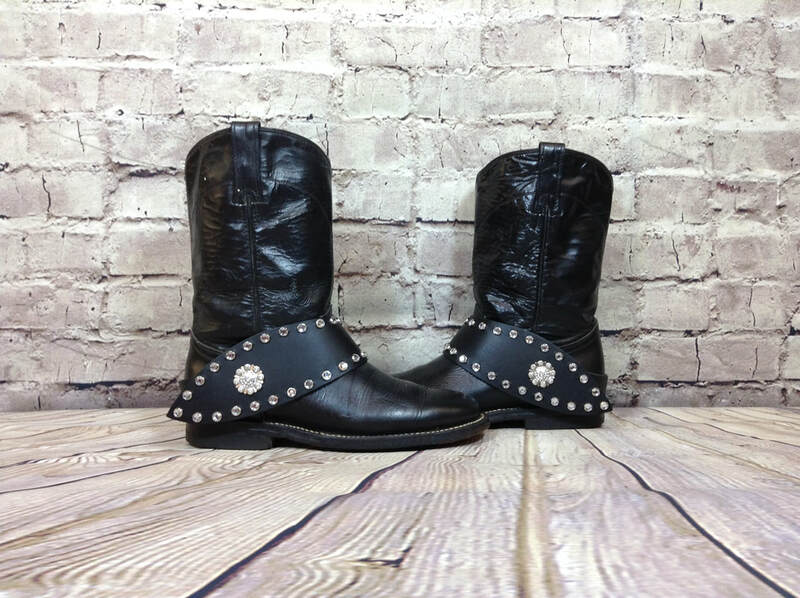 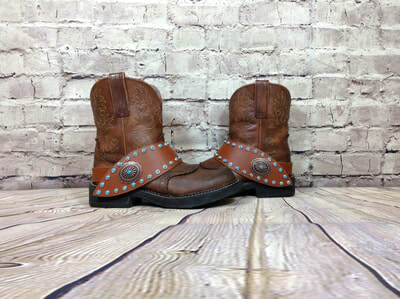 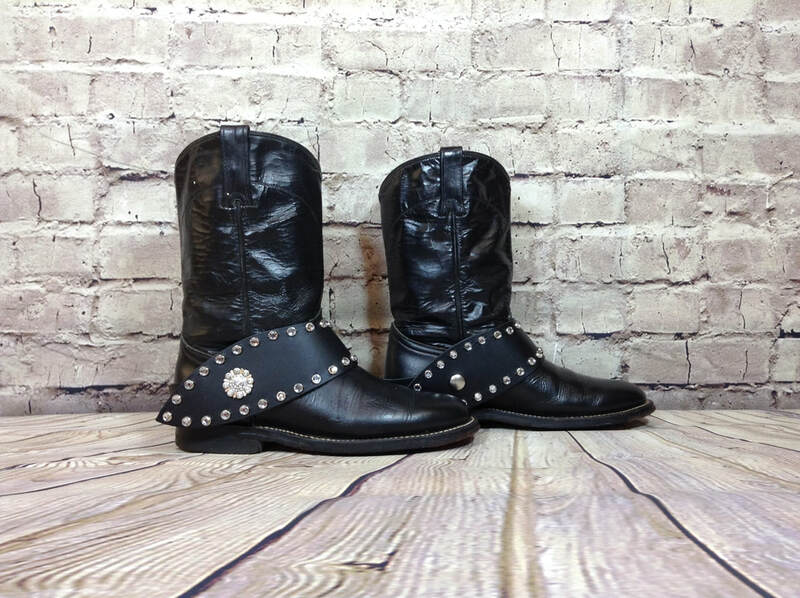 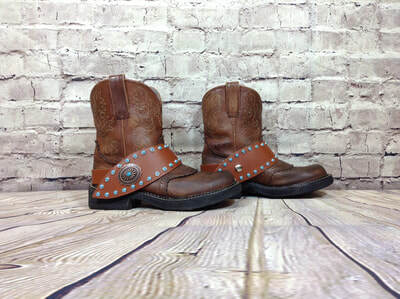 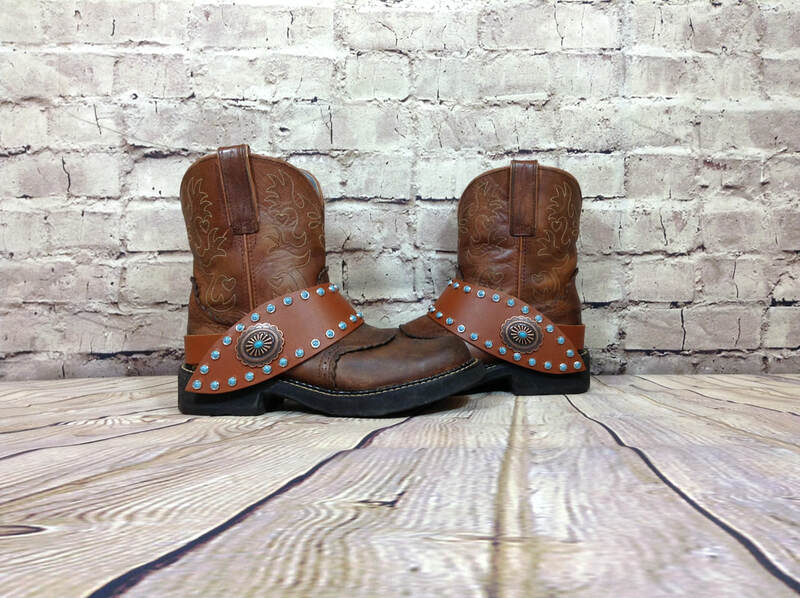 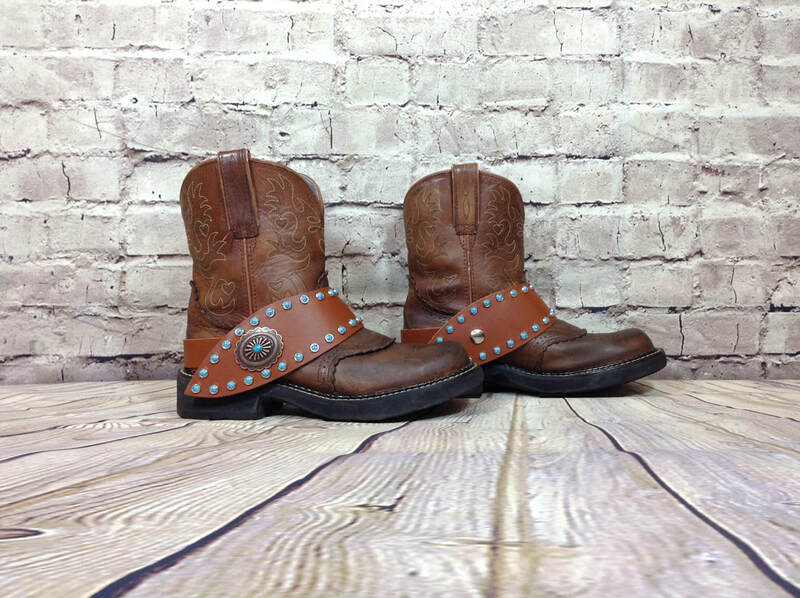 They come in black or brown leather and are a great addition to dress up any boot.​The personalized edge features your choice of 5/16" spots or rhinestones, and your choice of concho (with chicago screw) on the outside to be seen and admired by all. 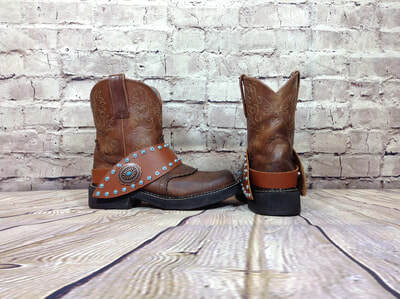 The back strap is made of the same leather. This "One Size Fits All" strap has adjustable holes punched on one side, allowing the concho placement and size adjustment. 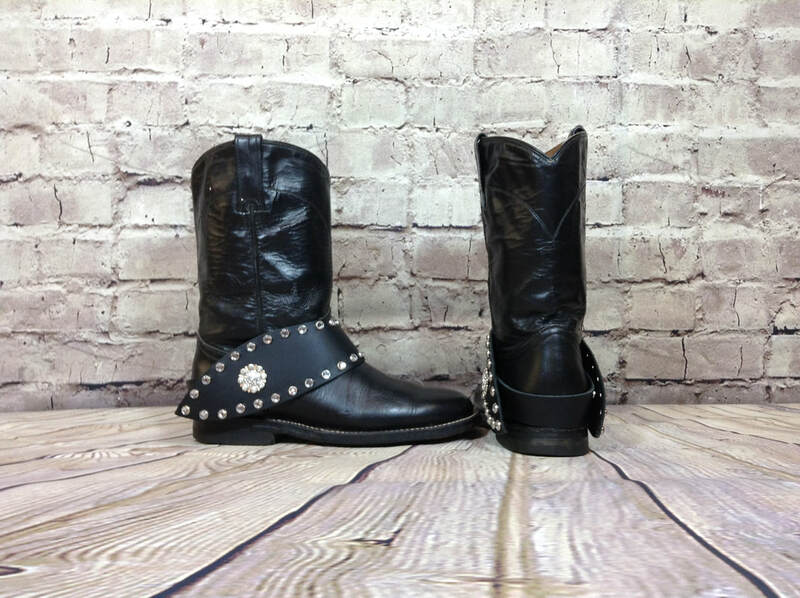 The other side has 2 inside snaps for quick and easy fitting from one style of boot to another.